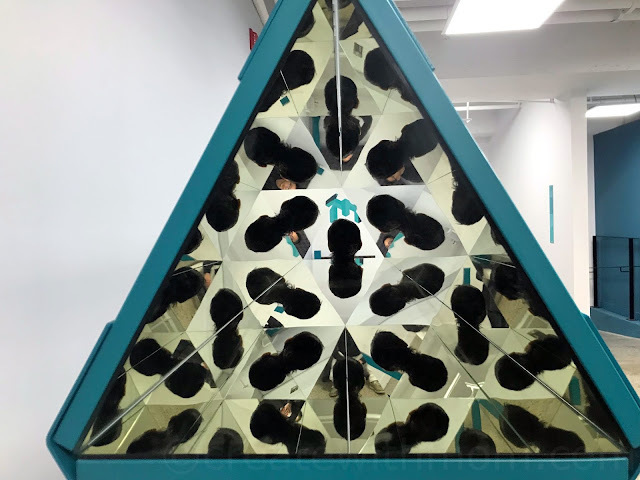 Vortex Tunnel: We felt dizzy walking through the tunnel, which makes us believe we were struggling to move forward in the rotating cylinder although the surface is stable and flat! The Hollow Face illusion: Very cool on how the concave faces looks 3D on the images we took. 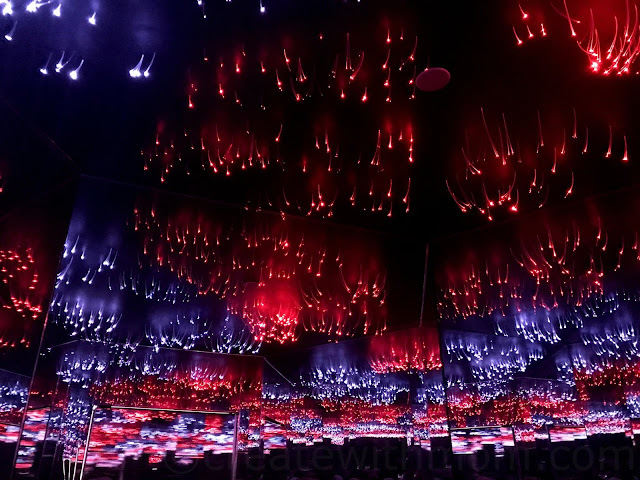 Infinity room: Felt like we were in a very lively infinite party space. All that was missing was the music. Head on the platter: It was funny to see the head looking like it was on a platter, once the person crawls under and puts their head through the hole. 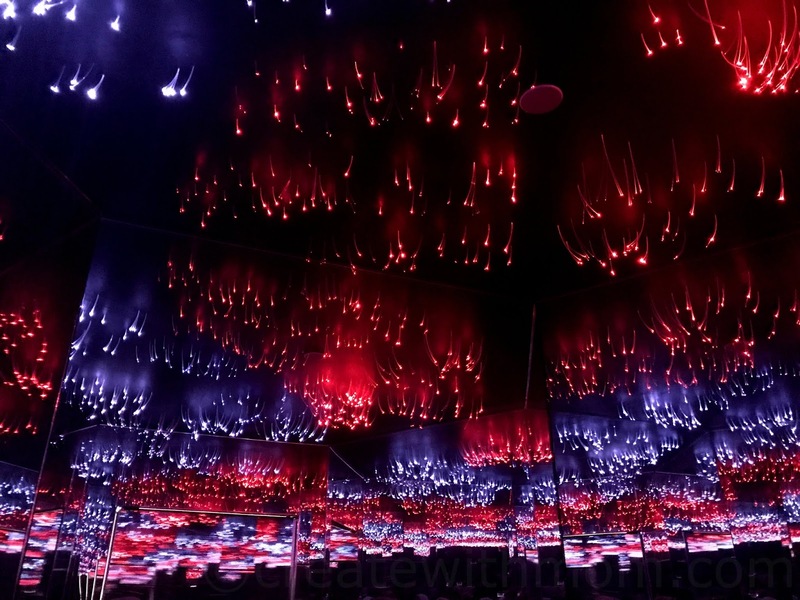 Kaleidoscope: As we peek through the opposite ends, we get to see a stunning kaleidoscopic image of ourselves. 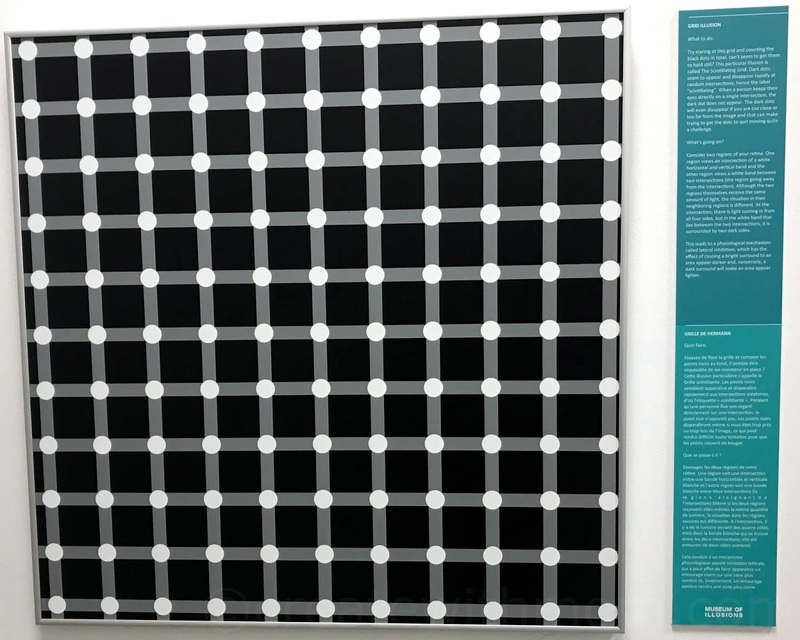 The kids had fun with this, as the images changed with movement. 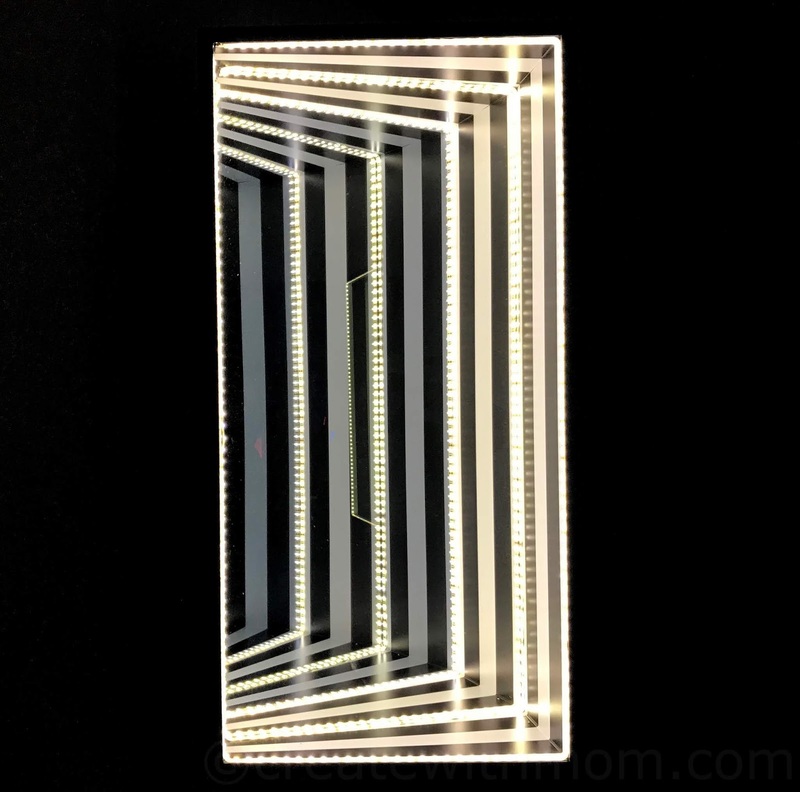 Holograms: Optical illusions reminds us that our assumptions are nothing but illusions. Seeing the 3D images depending on how close we went and where we stood was an eerie surprise. 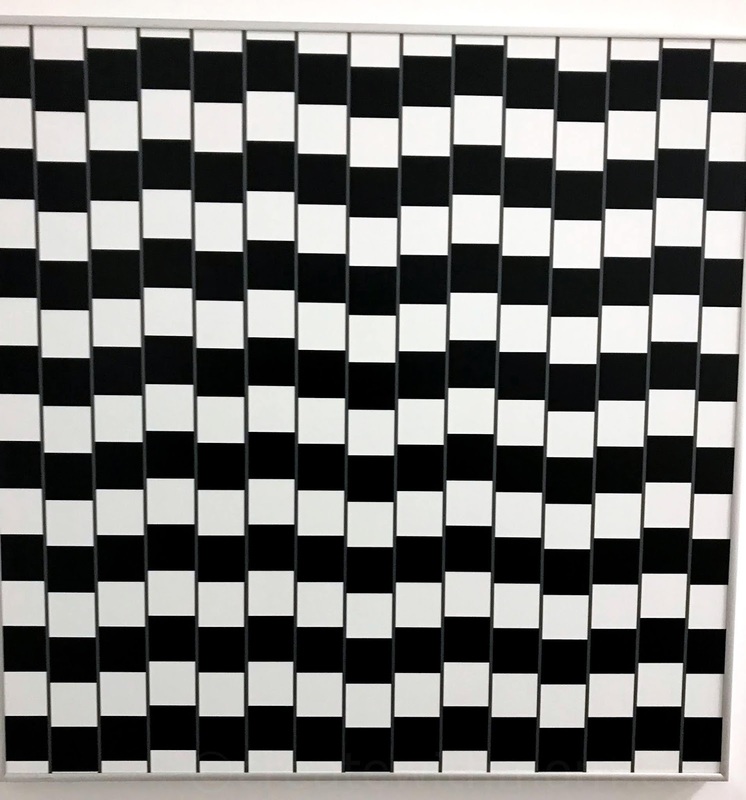 Stereogram: Looking close to reveal hidden images. 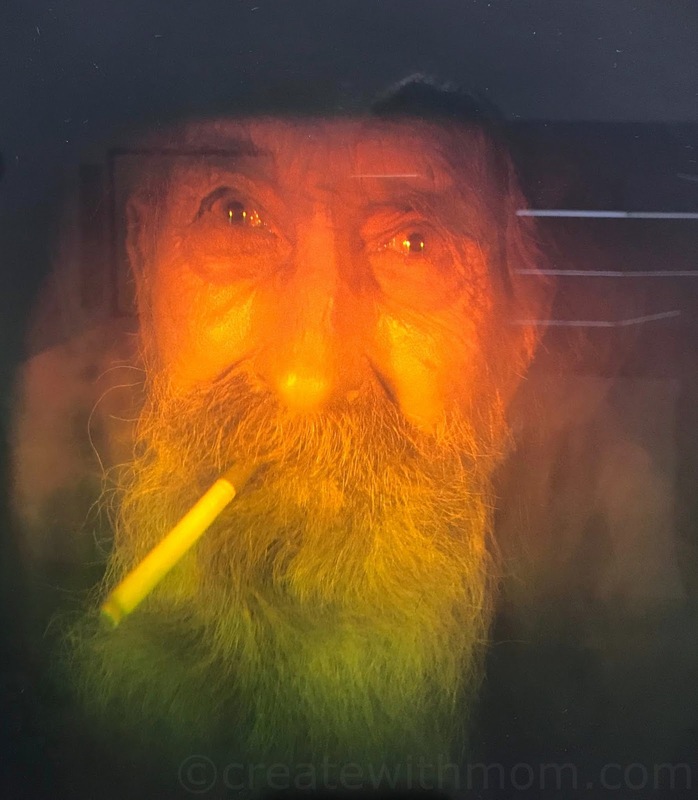 Make this image small and see who it is. Turntables: Watch what happens to things you see after staring at the turntable for 30 seconds. 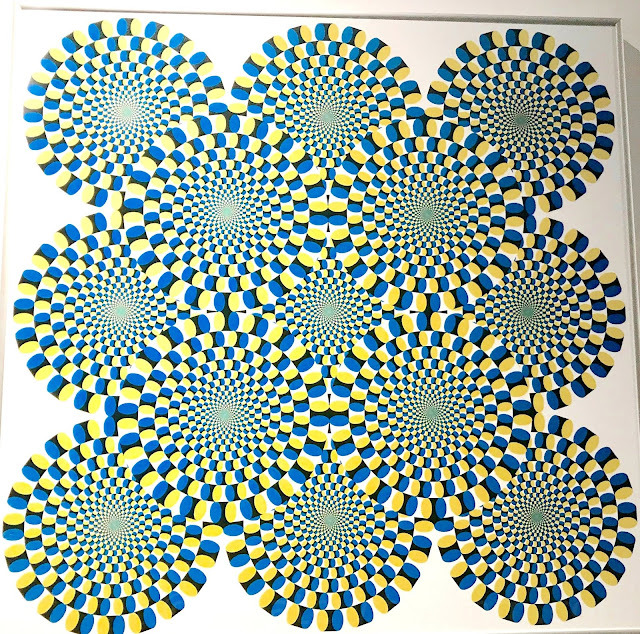 Optical Illusions: We really enjoyed how our eyes played tricks as though the images were moving. 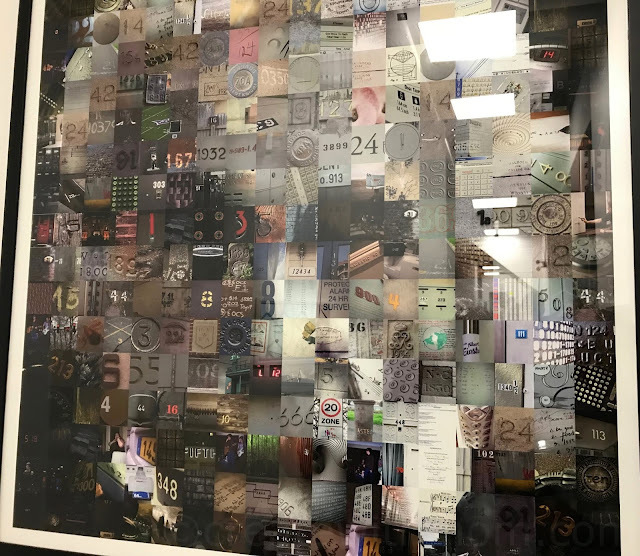 We could still see the pictures we took moving when we keep looking at it like in the first image on this post. 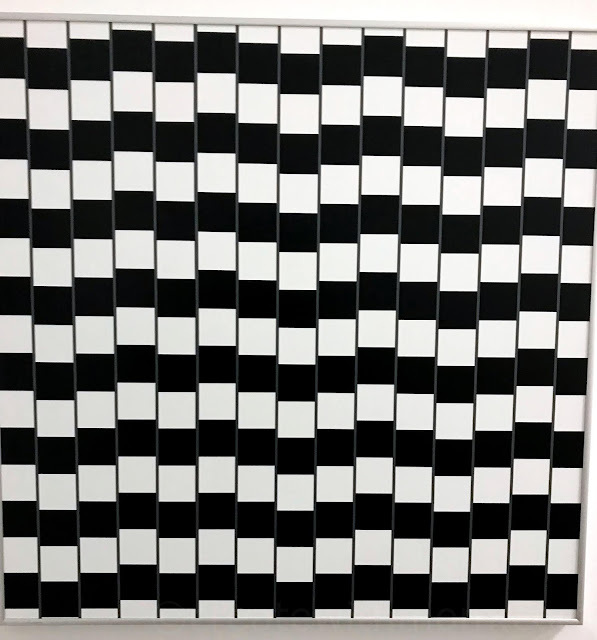 For example, the image above has parallel straight horizontal lines, but it looks like the lines are crooked and bent because of the position of the squares. Infinity tunnels: When you look into it, it feels like it never ends. 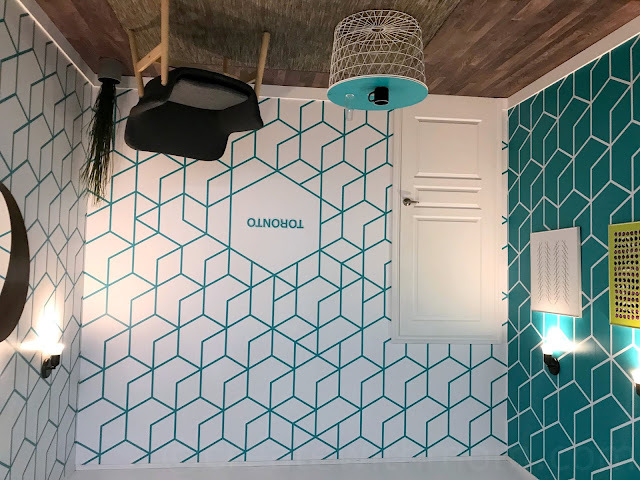 Rotated Room: This was one of the popular rooms where everything is set up upside down. It is funny to see the end result once the picture is rotated. Ames room: Where in one corner you are a giant and in the other a dwarf. There are lots of other displays and rooms to explore such as the tricky stick, ambiguous cylinder, anti-gravity room, angle illusion, and many more. It is a must visit to feel the excitement. 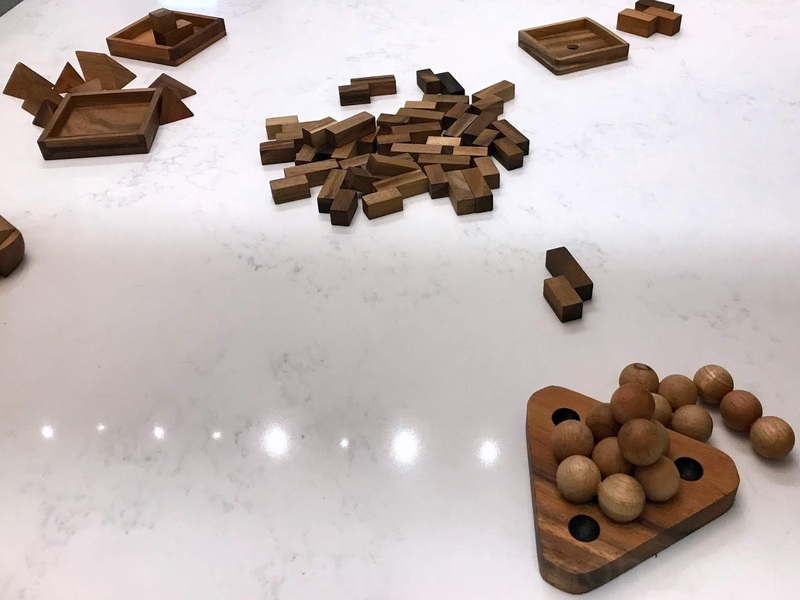 There is an area at the back of the museum and in the front entrance set up with intriguing, educational puzzles, games, and wooden brain teaser toys where we can play with, and purchase at the entrance. They even had our favourite game Mancala at the gift shop. Reading the descriptions by the displays made us understand why and how the displays trick our brain. It was fun to resist the laws of gravity and size ratio. The signs on the floor indicating where to stand to get those memorable pictures were helpful. We were glad that there is a coat room, which allows us to take pictures quickly and doesn't make the space feel crowded. 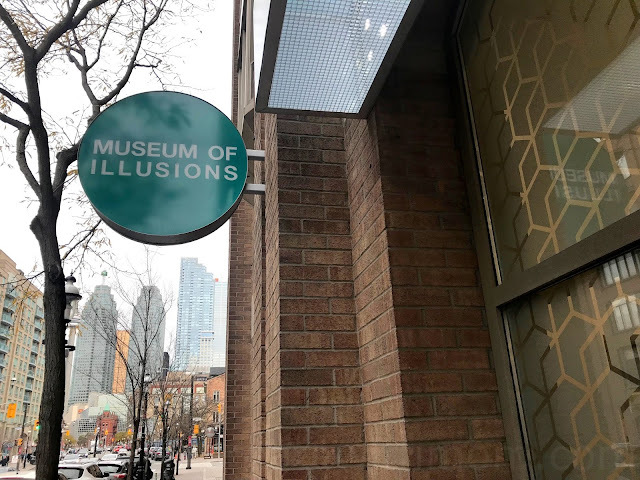 Nothing is what it seems at the Museum of Illusions, add it to your places to visit and experience it for yourself, suitable for all ages. They are open all year long from 10 a.m. to 8 p.m. Tickets to visit this attraction would make a memorable gift to give anyone on your list! Wow! This museum looks like so much fun! I plan on taking the whole family this winter season! I’m so glad you enjoyed it. The museum of illusions is so much fun! 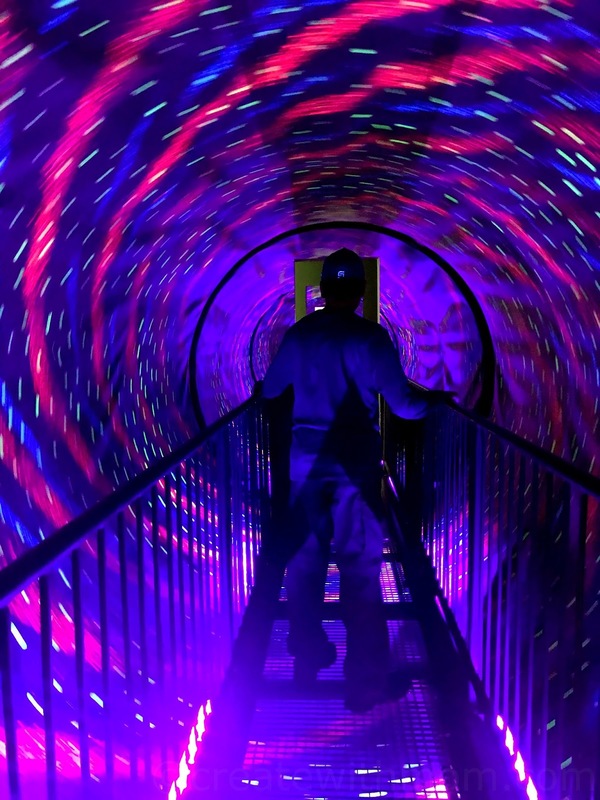 I can't wait to try & struggle to walk through the Vortex Tunnel which isn't even moving! So great that Toronto has this! This looks awesome and I hope to visit this sometime over the holidays! oh my gosh your photos are incredible! I can't wait to check this out with my family. Definitely hoping to get there soon. I'm trying to find out how busy it is before I decide to go! My son is very into magic tricks right now which uses alot of illusion, so he would absolutely be very into this museum! I'd love to visit that place, looks fun! This is on the list of things to do during the holidays although I'm worried about crowds. We may have to wait. I was just browsing their website and i love that they offer birthday parties AND it includes an illusionist to do tricks at the party! Very cool! Vortex Tunnel is the craziest thing ever, our brains trick us here! I'm very surprised that some of these illusions make me dizzy if I look too long. Have to find some time to go! Rotated Room is so fun, I see alot of those posted on social media, can't wait! A museum is not what comes to mind when franchises are mentioned. Great idea. this would be great for my next trip to T.O. Wow, very cool indeed...looks like lots of fun!!! I like the dinner serving plate illusion! 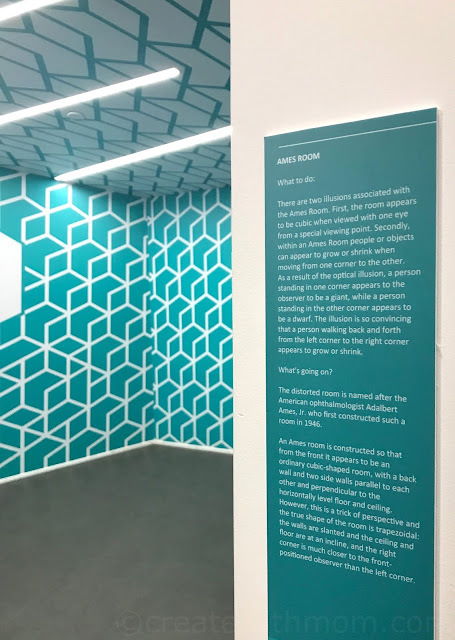 The kids are constantly comparing their sizes so the Ames room will be fun where one corner you are tall and in the other - small! I would enjoy visiting this museum. So, you would say that the $30ish price tag is worth it? I like that they have helpful signs on the floor indicating where to stand to get the best pics! 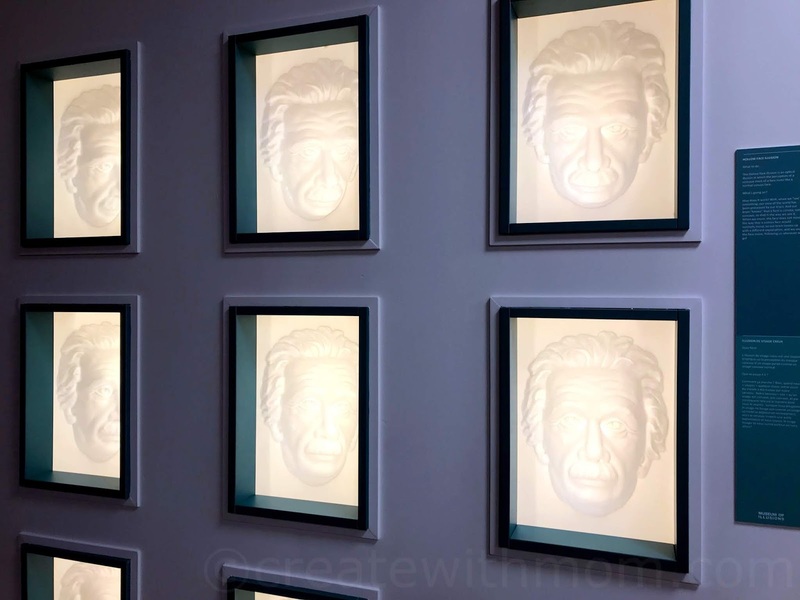 I need to check The Hollow Face illusion wall! This does look like lots of fun. I like that I can take family there as a gift AND also looks like there some awesome gifts I can get for other people in the gift shop too! I like the poker with myself illusion! I bet the gift shop would be interesting to visit. Looks very intriguing that Infinity room! 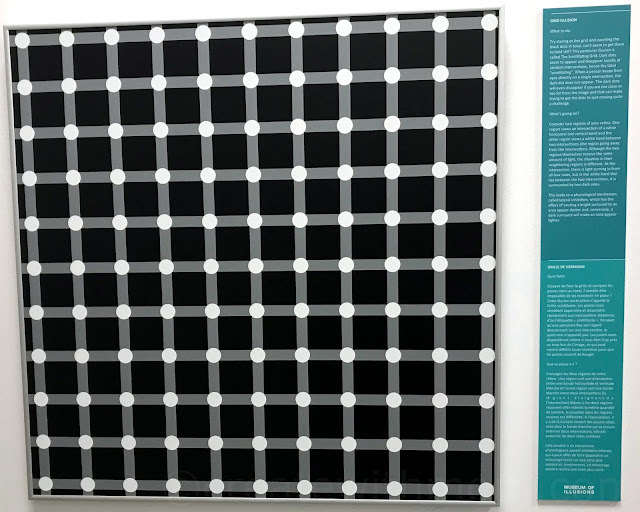 Love looking at those pictures where the images are moving & our eyes are playing tricks on us! I am hoping to take some of the grandkids over the holidays! Would really like to go on a day with fewest visitors. 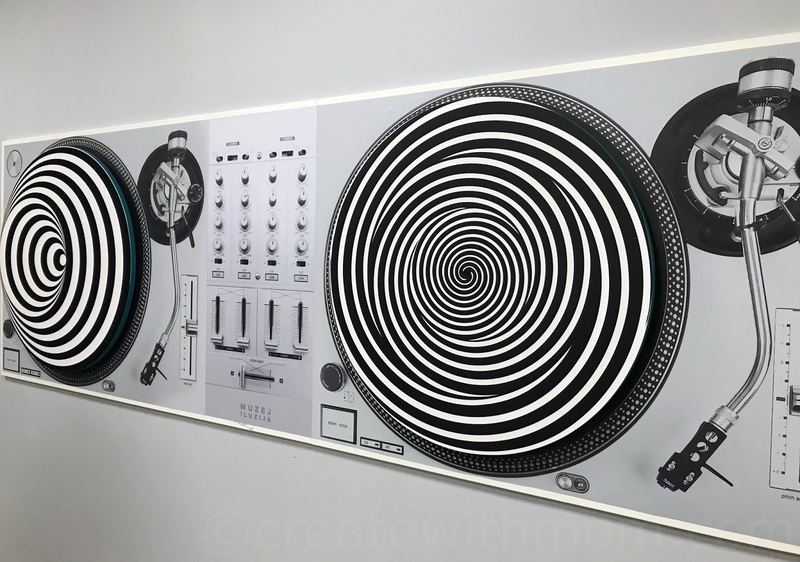 We would love staring at the turntables & seeing what happens! How long were you there? Thanks. Also the Hollow Face illusion is fascinating - how the concave faces looks 3D! 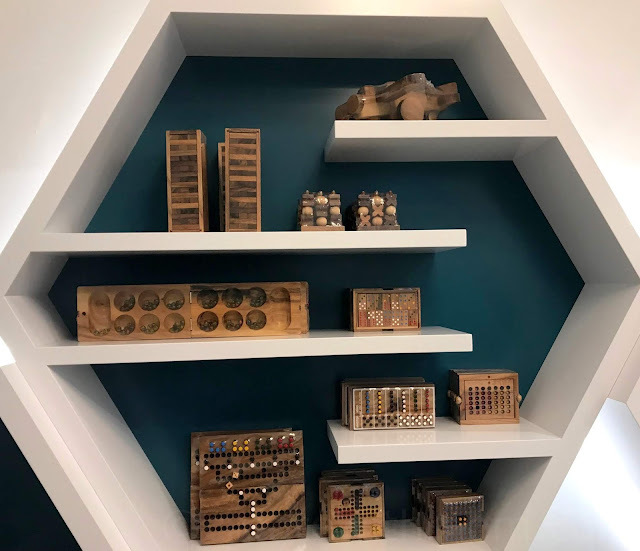 I did not know about the educational puzzles section! The ambiguous cylinder room sounds interesting too! is this something you would do more than once? Unbelievable .. I would Love to take my grandkids there !! It looks quite fascinating! ! The kaleidoscope pattern looks like leopard. 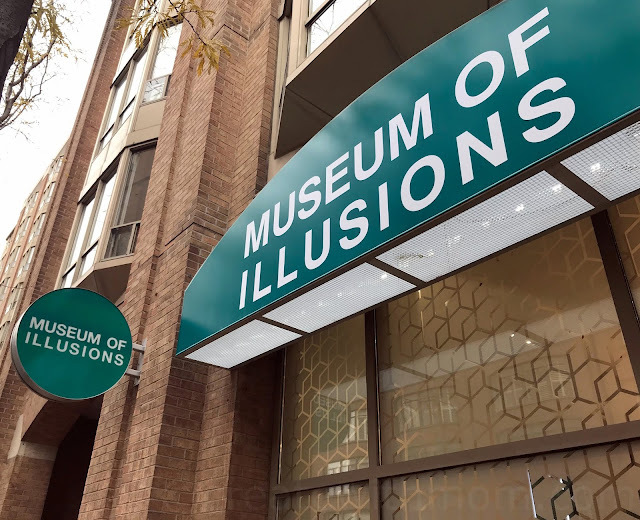 I sure would love to visit the museum of illusions !